Studio Swine’s bamboo-derived “seed socks” aren’t just comfy foot coverings, they’re also a gateway product into the world of do-it-yourself natural dyes. 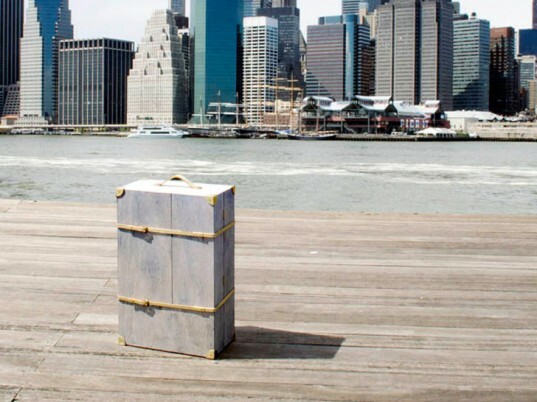 Distributed from a portable dyer’s workshop, which resembles a traveling salesman’s sample trunk, each hand-dipped pair includes a pack of seeds, plus instructions on how to cultivate and create your own plant-based dyes. The valise itself houses seasonal New York botanicals and the necessary tools to turn them into a palette of vibrant colors. “‘Seed socks’ aims to instigate the cultivation of dye plants,” says Studio Swine’s founders. 2. Mix water and sea salt (16:1), put the socks into the mixture, and bring it to a boil. When it begins to boil, turn the heat off and leave the socks to soak in the salt water for one hour. Give the socks a rinse. 3. Add the blackberries to some water (1:4). Cook the mixture for 30 minutes, remove the pot from the heat, and mash the berries. Let the mixture boil for another 30 minutes and strain the pulp. When there’s no more pulp in the juice, bring it to a boil again. Pour the mixture into a beaker and dip the pre-prepared socks. Leave them to soak for five hours. 4. Take the socks out of the dye and rinse them in a solution of water and vinegar. Hang them to dry. Studio Swine's bamboo-derived "seed socks" aren't just comfy foot coverings, they're also a gateway product into the world of do-it-yourself natural dyes. 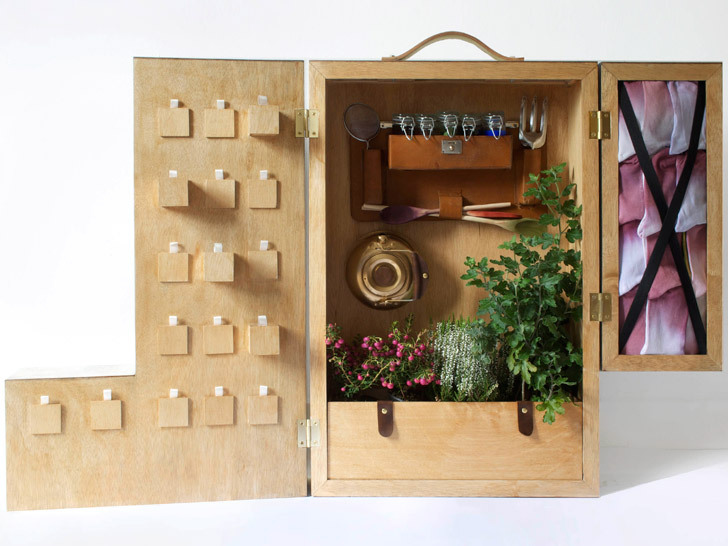 Distributed from a portable dyer's workshop, which resembles a traveling salesman's sample trunk, each hand-dipped pair includes a pack of seeds, plus instructions on how to cultivate and create your own plant-based dyes. The valise itself houses seasonal New York botanicals and the necessary tools to turn them into a palette of vibrant colors.